Courtesy of Travis Owen, Broker, Nickole McGregor. PRISTINE CONDITION!! TURNKEY HOME with newly finished upgrades!! This home has been well cared for by original owner. Experience an amazing quality of life living in this highly sought-after community with only five miles to beautiful Salk Creek Beach. One of the best features of this home is the lustrous green yard, it’s perfect for entertaining, relaxing and gardening. This home is situated walking distance to parks and recreation. Complete remodel includes newly finished/ installed engineered Oak Flooring,carpet, faucets, double paned windows with plantation shutters, paint, water heater. Entire plumbing system are brand new. Recessed lighting with dimers, built-in wine cooler below staircase in dining room. Ceiling fans in every room including loft above the stairs and dining area in family room. Master suite with walk-in closet. Kitchen area includes new cabinets with self close drawers and pull out shelves in pantry cabinet. All stainless steel appliances, Thermador 4 top gas stove, Samsung microwave, Samsung refrigerator. Loft upstairs can easily be converted to a forth bedroom, office or game room. Downstairs has a separate designated laundry room and 1/2 bathroom. Irrigation system offers sprinklers in front yard and drip system in backyard. This home is move-in ready! Please, send me more information on this property: MLS# OC19030002 – $858,000 – 29381 Castle Road, Laguna Niguel, CA 92677. 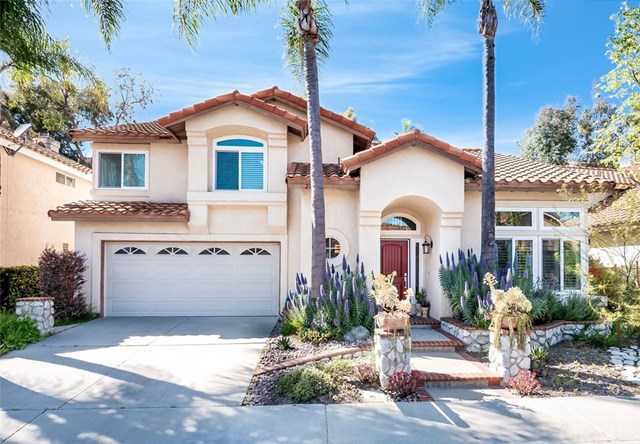 I would like to schedule a showing appointment for this property: MLS# OC19030002 – $858,000 – 29381 Castle Road, Laguna Niguel, CA 92677.